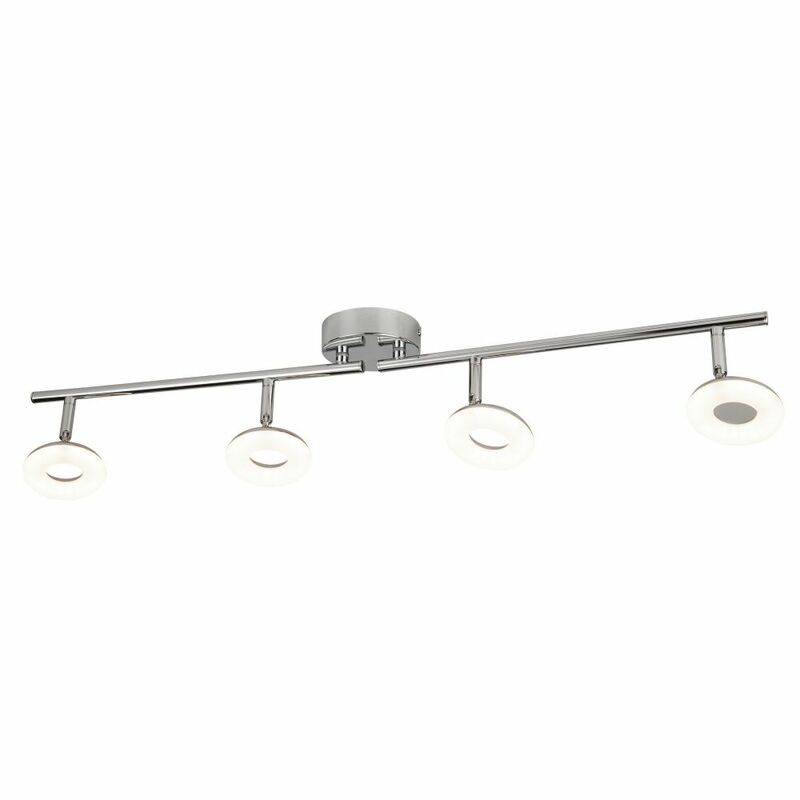 Turn Heads With This Unforgettable 4 Light Split-Bar Fitting In Chrome. The Quirky Donut Shaped Lights Will Add Warmth To Your Interiors Using A Frosted Glass Effect And Are Also Fully Flexible. Place The Chrome Feature In A Large Kitchen To Make A Statement. Leds Use Up To 85% Less Energy And Last Up To 20 Times Longer Than Incandescent Bulbs.